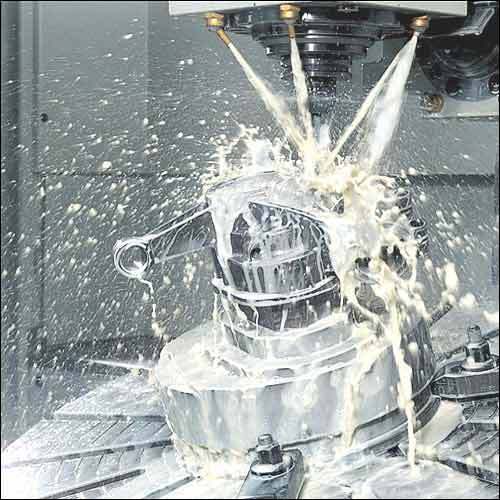 Global demand for metalworking fluids in 2012 was estimated at 2.2 million tons. This volume represents an essentially flat market compared to 2007 when demand was estimated at 2.3 million tons. Europe, which includes Western, Central and Eastern Europe, Russia and Turkey, accounts for 26 percent of the total. Asia is the largest market with about 42 percent of the total demand, followed by North America with 28 percent. Globally, metal removal fluids (or coolants) account for more than one-half of total metalworking fluid consumption. Forming fluids, which include rolling oils, drawing and stamping fluids, and forging fluids, account for 30 percent of total demand. Protecting fluids account for 12 percent, and treating fluids account for 9 percent. Metalworking fluid consumption in Europe posted an increase of 1.5 percent in 2013 over 2012. The presence of a substantial automotive industry drives metalworking fluid consumption in Europe’s top markets, which include Russia, Germany, France, Italy and the United Kingdom.